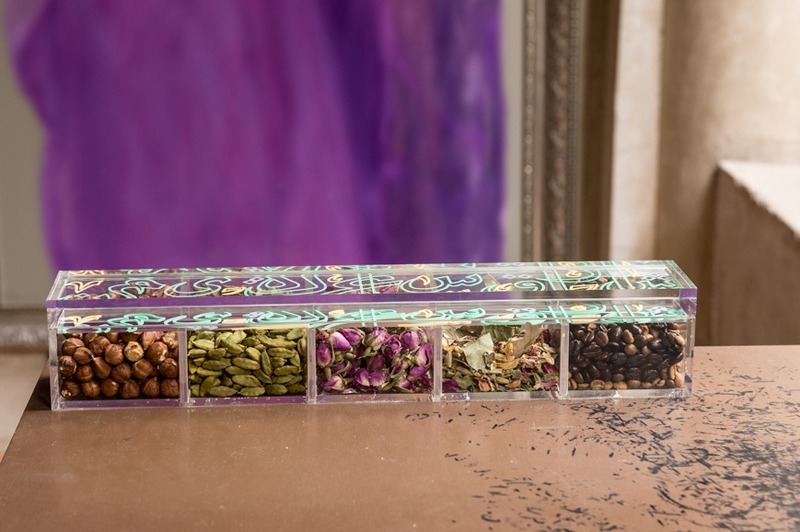 From emerald to forest, and avocado to sage, the 101 shades of green have captured our imagination. Evoking images of long summer days spent in the garden, this verdant hue is the perfect way to bring the lush outdoors into your home. 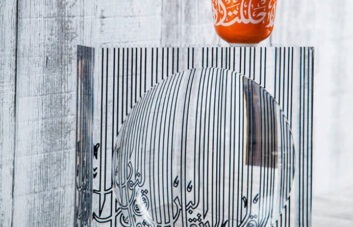 The colour of hopefulness, green speaks of life, nature and revitalization. 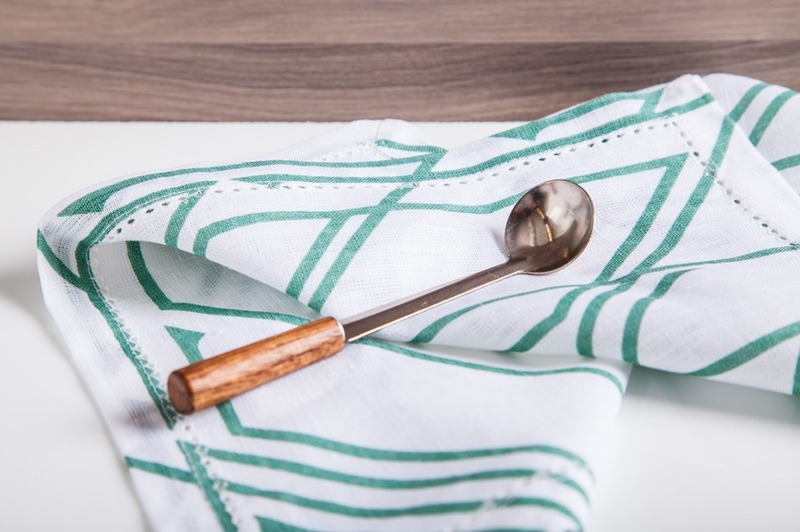 Lucky for us, green is having a bit of a moment – not only was it named Pantone’s colour of the year but it’s been featured heavily in fashion and décor this season! 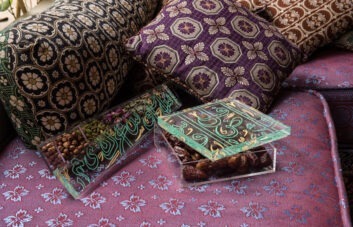 So, if you found yourself green with envy, we have rounded up our favorite greenery for your home. 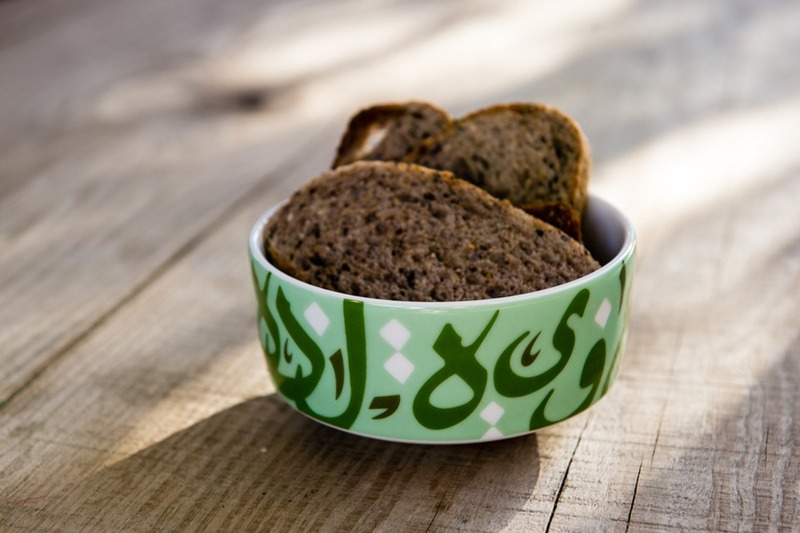 This gorgeously verdant bowl featuring delicate Arabic calligraphy saying “Bilsiha wal aafiah’ meaning bon apetit in Arabic, is versatile enough to suit every table. 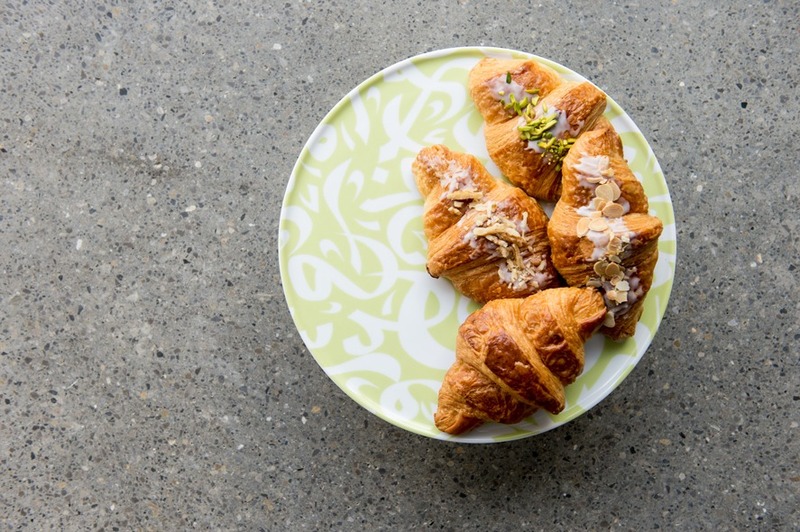 Whether you love to bake or rely on your local bakery, this cake stand is the perfect way to display your goodies! 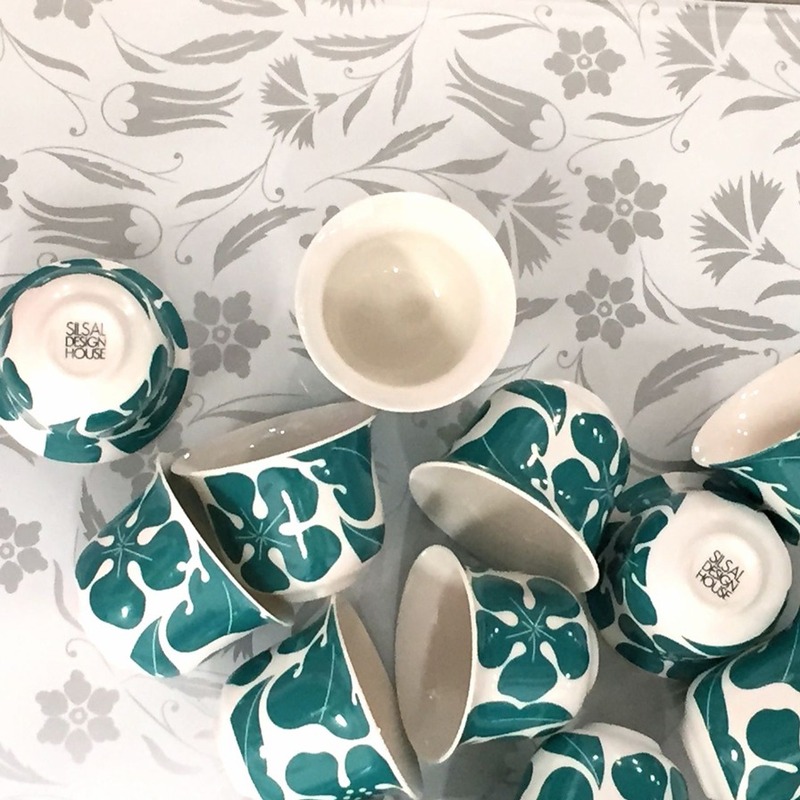 With tulip patterns in calming teal, these coffee cups evoke memories of summer days in the garden. 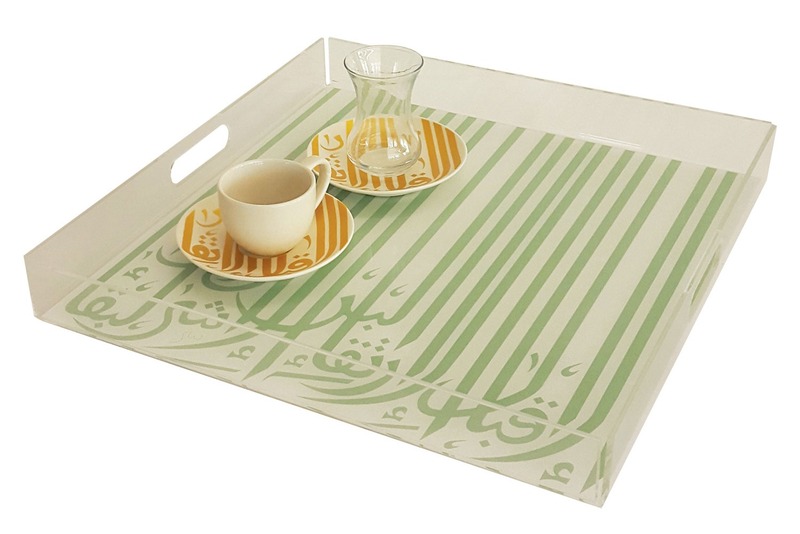 Whether you’re serving up coolers in the garden or coffee and cake indoors, Ghida’s tray is sure to brighten the party. 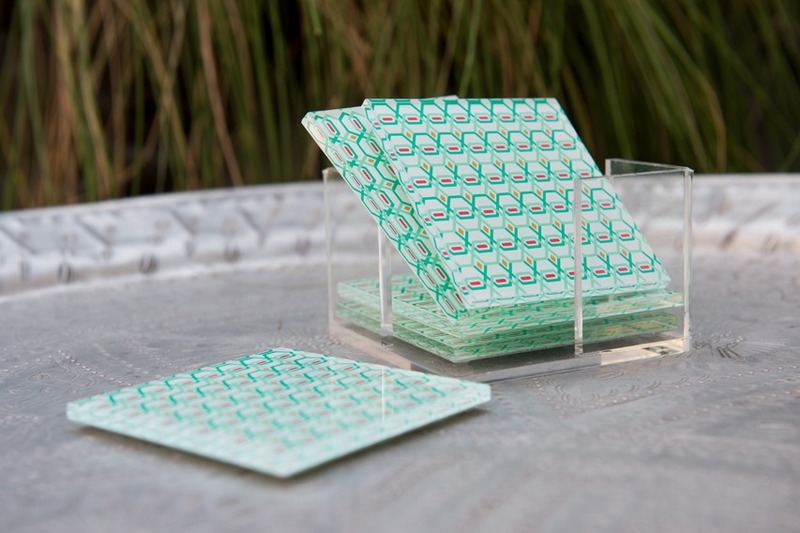 With their mint shade and modern geometric style, these coasters are a stylish touch. 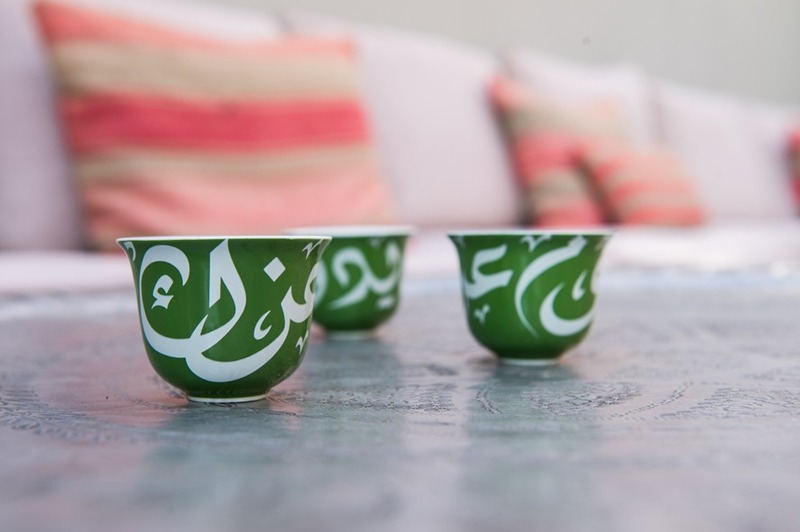 Inspired by the Arabic phrase ‘yidoom i’zzak’ or ‘everlasting glory’, a phrase often spoken when serving coffee, these coffee cups feature a bold olive green background, symbolising prosperity. 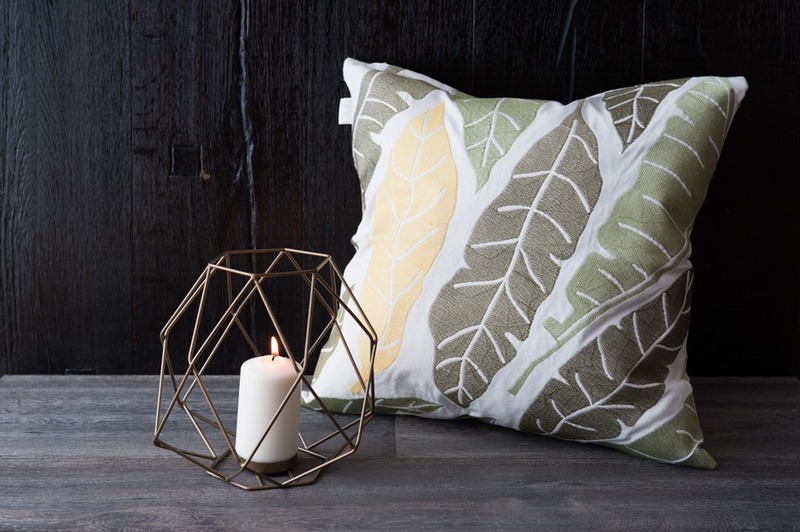 Bring the outdoors in with these gorgeous leaf-print cushions – they’re beautiful, delicate and complement any space. 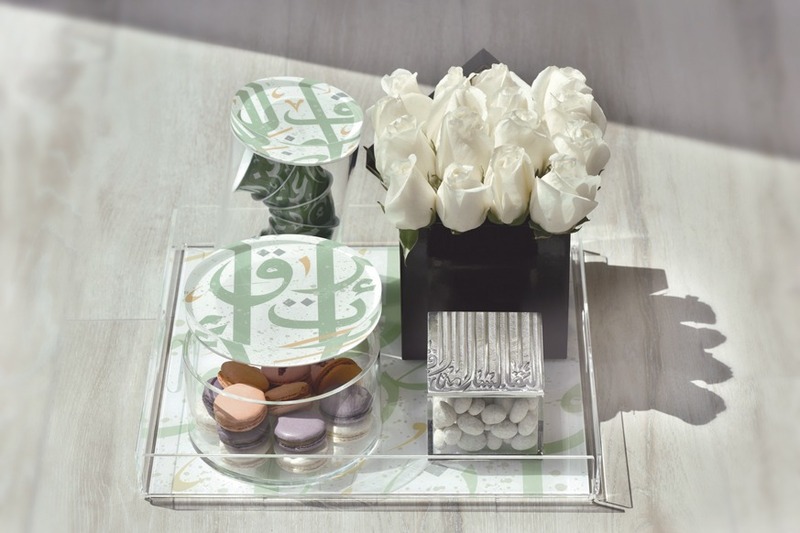 With five separate compartments this acrylic box can be used for storing your favorite baubles or serving nuts – but its the cool mint green calligraphy, which remind us of refreshing sea breezes, that makes it perfect for summer. We all need a little extra storage, and this container combines function and style – the fact it features our favorite hue is just a bonus! 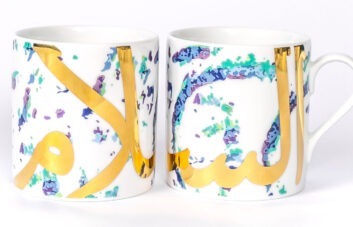 Whether you’re dining al fresco, or want to bring the outdoors in, these Kufic Napkins add the perfect greenery to your table!